For what can be significant part of a match against many other teams, India were not at their best in the first match of their title defence. Yet, confirming how far Pakistan have fallen behind modern limited-overs cricket, they won by a whopping 124 runs. 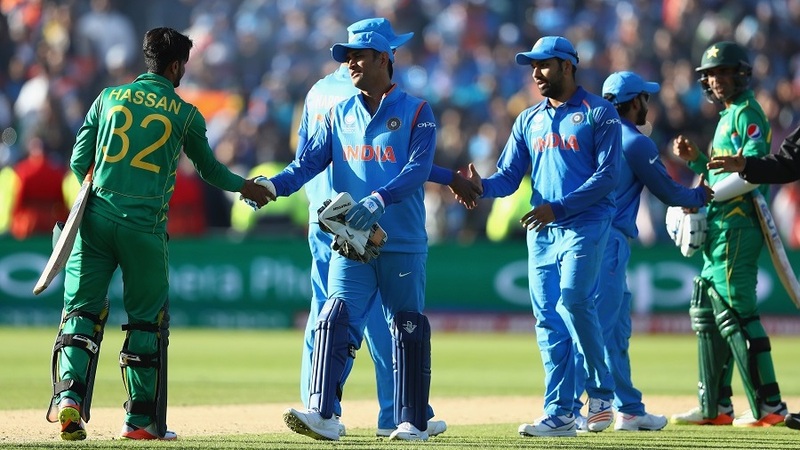 Even if Pakistan had not grappled with the age-old problem of dropped catches - Yuvraj Singh and Virat Kohli plundered 45 off 24 and 38 off 12 after being reprieved - Pakistan might have still had to chase 280, which on the evidence of their batting might have been a handful. Thanks to the fielding lapses, all of India's top four scored half-centuries - only the third time for them - to set Pakistan 324, which, given their batting, was pretty much game over. The first two to score fifties for India were reuniting at the top after 17 months, having started the partnership four years ago, in the same tournament, in the same country, with instant success. Success was instant on reunion as the two added India's first hundred opening stand against a top-eight ODI side since they themselves did it last January. 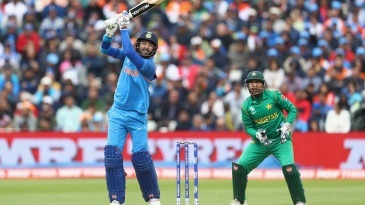 The platform of 136 runs in 24.3 overs between Rohit Sharma and Shikhar Dhawan was strong enough to survive a mid-innings slowdown, especially when Yuvraj and Kohli punished the generous Pakistan by taking 89 runs in the last six overs.